Perform the complete forensic acquisition of user data stored in iPhone/iPad/iPod devices. 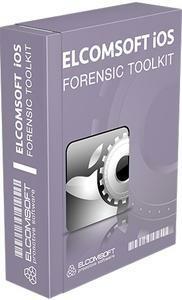 Elcomsoft iOS Forensic Toolkit allows imaging devices' file systems, extracting device secrets (passcodes, passwords, and encryption keys) and decrypting the file system image. Access to most information is provided instantly. Please note that some models require jailbreaking. See Compatible Devices and Platforms for details. In addition to media files, iOS Forensic Toolkit can extract stored files of multiple apps, extracting crucial evidence from 32-bit and 64-bit devices without a jailbreak. While access to app data without a jailbreak is limited, this new technique allows extracting Adobe Reader and Microsoft Office locally stored documents, MiniKeePass password database, and a lot more. The extraction requires an unlocked device or a non-expired lockdown record. If a lockdown record is used, some files may not be accessible unless the lock screen passcode is removed.